The Microwave Technologies Association is made up from members throughout the UK and Europe. Below you will find links to some of the companies and organisations represented by our members. Samsung is one of the world's largest microwave oven brands. Samsung Professional Appliances distributes Samsung’s commercial/professional microwaves throughout the UK and Europe. It offers a comprehensive choice of commercial microwave ovens, from large-capacity, 'super-heavy duty' 1850W units down to light-commercial, budget-priced 1100W models. All are backed by a three year parts and labour warranty. Over 30 years experience - serving the catering trade! Committed to innovation, we are continually growing our product offer, to give you the best choice available, all at unbeatable prices, with our price match promise guarantee. With offices throughout Europe and Australia, we are a truly global player, offering only the very best in catering equipment, as used in restaurants and busy establishments around the world. Sharp Microwave Ovens are definitely in fashion with an extensive range of colours, including the very latest in stainless steel and a choice of models to suit all tastes including pure microwave, grills, double grills and combination ovens. A comprehensive range of microwaves to co-ordinate with your decor and inspire new ideas. Take a closer look, and discover each one's different features. The Sharp microwave oven with grill offers not only a distinctive touch of style to your kitchen but also the speed and convenience of a microwave with a grill built-in. There's no end to the versatility of the Sharp Combination Ovens with up to 7 in 1 cooking options. Whether you want to cook something traditional or opt for something more exotic, Sharp combination ovens can do it. Our range of ovens suit the cooking requirements of everyone. Whether you simply want to reheat or defrost and cook, or if you want to bake for an entire dinner party, you’ll find there’s an oven that will become your best friend in the kitchen. Imagine having the ability to bake mouth-watering cakes, wow with a soufflé, or serve up a perfect roast lunch with all the trimmings – saving time and energy – well now you can! The unique Flatbed ovens from Panasonic dispense with the need for a turntable which increases the space inside and allows greater flexibility on the size of dishes that can be used. Large oval, rectangle and square dishes all fit inside. And when it comes to cleaning, the flatbed ensures it couldn’t be easier with our catalytic self cleaning back plate. This self-cleaning process takes place when the convection oven is in use and is performed as a continuous process so there is no build up of food or grease. Across the range of Panasonic ovens you’ll discover a wealth of extra features designed to make life much easier. Auto programs take the guesswork out of perfect cooking, Turbo Reheat boosts microwave power, ideal for reheating foods and Chaos Defrost speeds up defrosting times with a special process that means no more part cooked food with frozen areas in the middle. Panasonic ovens use a range of processes to save energy consumption. Ovens with Inverter technology cook faster, and at lower energy requirements when needed – contributing to reduce electricity bills and CO2 emissions. Look out for models with energy save mode, this is our commitment to produce energy efficient products. The Ideas Kitchen - Get the most out of your Panasonic microwave oven with our new The Ideas Kitchen community site. 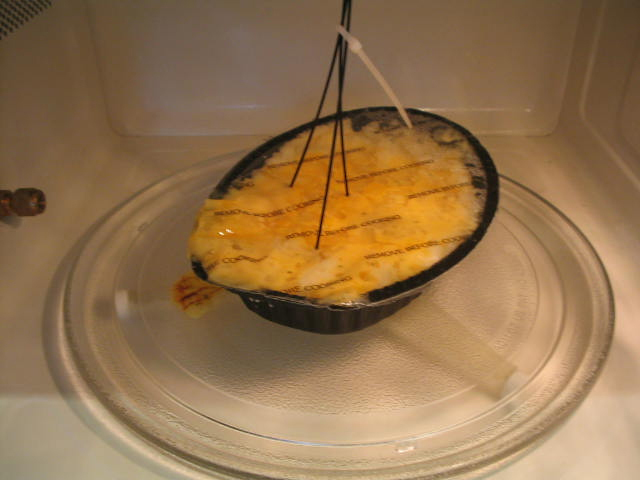 Learn more about how to use your microwave oven and achieve the best results. Use your imagination and creativity whilst saving time, by access hundred’s of recipes. Watch video tutorials from our expert chef Daniel Galmiche, Executive Chef at The Vineyard, or pick up some tips and tricks to help your everyday cooking experience. Plus share your thoughts and ideas with like-minded people in the forum. Lakeland is the UK's leading kitchenware specialist, offering a range of around 3,000 products, from innovative kitchen utensils and microwave cookware to clever storage solutions and delicious speciality foods. Lakeland's products are available online at www.lakeland.co.uk, by mail order and from over 50 stores nationwide. We think it’s fair to say that there isn’t much we don’t know about catering equipment and the foodservice industry. With over 30 years experience, 100 top brands and 10,000 products, today we are the largest independent catering equipment supplier in the UK. We are continually developing the products and services we offer, making us a truly nationwide ‘one stop’ catering equipment supplier. Our state of the art 2,500 sq ft, Development Kitchen is fully fitted out with every type of foodservice kitchen product from a wide range of manufacturers. We openly invite and work with trading partners, large organisations, food producers and development chefs and welcome and foodservice trials and evaluations that are required, giving us firsthand experience on the products we are selling. We now have a brand new fabrication division! Operating from a fully equipped 15,000 sq ft British factory, our 14 strong Fabrications team boasts many years of experience in the production of all forms of metal production. Whether your requirement is a bespoke bench, or a custom designed counter, we can make your ideas reality. For full details log onto our new company website www.rhhall.com you won’t be disappointed! From now on one number is all you will ever need for all your foodservice equipment requirements. The Company has, for over 20 years, been specializing in contract research and product and process development in all areas of microwaveheating: microwave foods, packaging, cookware, ovens and testing; as well as industrial microwave heating for all industries: food, pharmaceutical, aerospace, and more. Bob Schiffmann, the president, also provides expert witness, seminars and teaching services. 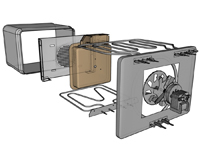 Microwave Oven Design & Development Section … and follow links. BSH. Home Appliances Ltd more familiar as the Brands Bosch Neff and Siemens offer a wide range of Microwaves and Combination microwaves to build in to wallcupboards or tall units to un-clutter your work surface. Copyright © 2015 Microwave Technologies Association.